This was a really neat exhibit at the Dallas Zoo. 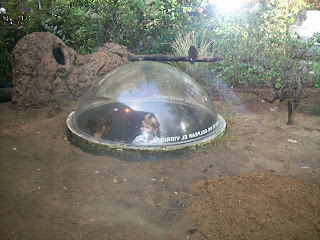 There was a tunnel with 3 different peep holes that popped up inside the exhibit to allow kids a close-up look at the animals. 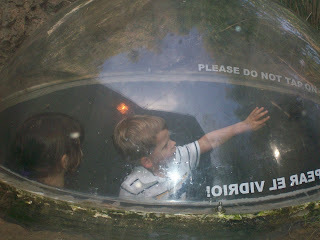 Dawson and a little girl had a wonderful time crawling through the tunnels and popping in and out of the peep holes.